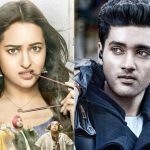 This Friday released the comedy Hindi movie Happy Phirr Bhag Jayegi has registered a decent opening weekend despite a slow start and now showing a steady performance on weekdays as well. It has received mixed reviews from the critics though but got succeed to make the audience laugh. 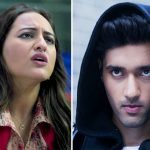 Directed by Mudassar Aziz, Happy Phirr Bhag Jayegi is the sequel to 2016’s Happy Bhag Jayegi which was not a clean-hit and had recovered all its investment. Due to having last week released biggies Gold & Satyameva Jayate in the opposite, Sonakshi Sinha starrer opened on a slow note. Due to a positive feedback from the viewers, Eros International & Aanand L. Rai’s presentation showed a solid uptrend over the weekend and did the business of 11.78 crores that included 2.70 crores on Friday, 4.03 crores on Saturday, and 5.05 crores on Sunday. Now Happy Phirr Bhag Jayegi is running on weekdays and still heading steadily despite a usual drop in footfalls. On Monday, it faced a drop of 24% than Friday and minted the amount of 2.05 crores. Then on Tuesday, on an almost similar note, the movie collected 1.71 crores and raised its 5 days total collection to 15.54 crores. 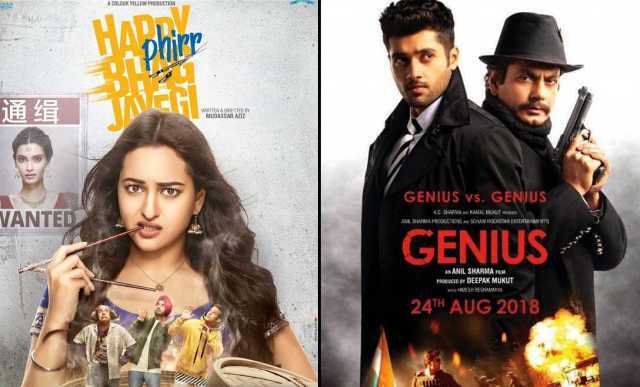 On the other hand, debutant Utkarsh Sharma & Nawazuddin Siddiqui starrer action thriller Genius has got failed to entertain the audience and receiving a cold response. With a low note over the weekend, it has registered the business of 3 crores that included 0.75 crore on Friday, 1 crore on Saturday, and 1.25 crores on Sunday. 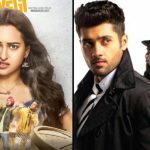 On weekdays, as usual, Anil Sharma’s directorial witnessed a drop and minted the amount of 0.50 crore on Monday. Then on Tuesday, with a further drop, it raked the business of 0.40 crore and raised its 5 days total collection to 3.90 crores nett at the domestic box office.